See what is in your future, Fall back into Savings Specials 50% off all readings this Fall! Psychic Readings By Rose provides services to residents in the Hollywood, FL area who are looking for answers about their lives. There are so many seen and unseen forces that can influence what people do and the decisions they make. Psychic Readings By Rose can provide some clarity on how to manage these issues. When someone feels despondent or confused about their future, whether it be money, love, or their career, a Psychic Reading could be just what they need. I am a licensed psychic who has been providing guidance and intuition into my clients’ lives for years. My natural gift to see and feel the pain of others is what allows me to provide the spiritual healing needed to improve any situation. I can effectively open the window into your life in a variety of ways. I offer Tarot Card Readings, Psychic Readings, and Soulmate Readings. These three readings tap into areas of peoples’ lives that are often of the most concern. Through Tarot Card Readings, I will get insight on either a specific issue a client is having or a more general outlook on their life. 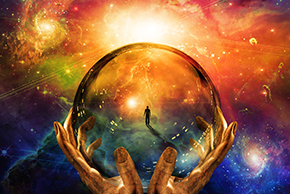 With Psychic Readings, I am able to tap into my clients and extract information about their lives. This reading involves me using my heightened intuitive abilities to extract personal information about my clients, including concerns, fears, or any other strong emotion they are emitting. Many people are very concerned with questions about love and romance. Through my Soulmate Readings, I can help guide my clients through the process of uncovering their soulmate. Whatever their concerns are about finding their soulmate, we can manage that during this reading. I am available by appointment, but walk-ins are also welcome. If you or someone you know is in need of guidance, call me today.